While researching the cemetery I came across the listing at "Find a Grave"
At "Find a Grave" with just a search of just "Pet Cemetery" in the US and Canada there are approximately 296 listings with memorials added ranging from 0 to 98. There could be hundreds more that do not contain "Pet Cemetery" in the name. 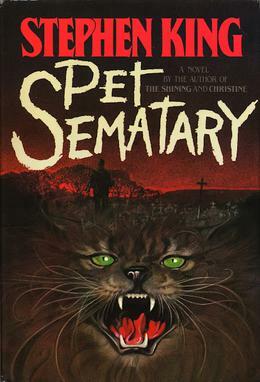 Stephen King's "Pet Cemetery" was not listed. Maybe because the title of the book is an intentional misspelling...? I think it is spelled that way because the family in the book finds a hand-painted sign where it's written that way. Findagrave does practically not exist in Switzerland; the few random individual entries do not change that. No wonder the only pet cemetery in the country is not listed. Is it a good idea to add links from my waymark to my memorial and/or vice-versa? 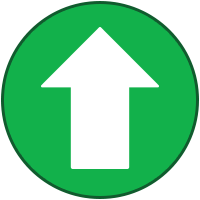 From waymark to memorial has no significant benefit for the user, but from the findagrave memorial to the waymark would provide a lot more information for the findagrave user. However, I couldn't find any opportunity to add a link the memorial. Is it enough to list the original (German) inscription or do findagrave-users expect to see an English translation? And if so, how should it be added (in brackets right behind the German text)? Since you created the memorial for Franz Wenzel Nowy, you should be able to edit. Since I have never added a link, you could try adding the link under "information"
I have seen links before on other memorials and they are successful in redirecting to the appropriate page. Or you could copy the information from your waymark and paste it under "information"
Since you already have an English translation on your waymark you could use both. Though I think almost everyone looking at the memorial reads German. Perhaps elyob could offer other solutions, or just confirm my suggestions. One of my main interests in Waymarking was old cemeteries, so the find a grave site appealed to me and I have been listing my photos there. As a user from both sites, I do like seeing a link to find a grave on waymarks, but I would not enjoy seeing a waymark linked to a memorial on find a grave. I thought about using the long description of my waymark, but the field at findagrave is called "Bio Information". So, I thought that they expect information about the life of the person, while the long description of my waymark just describes the grave itself. Then I tried to put it in the "Gravesite Details" field, but this field is far too short for my long description. There seems to be no way to add HTML to any of the fields, so adding a link might be impossible (or maybe I missed something). Ok, so far I haven't found a way to add a link on findagrave memorial anyway. :-) Would you even add a link in the waymarks long description, if the findagrave memorial doesn't provide any further Information? Okay, i see what you mean. I tried to add a link to the bio section of one of my memorials and though the actual link shows it is not clickable. Find a Grave has changed, perhaps this option is no longer available. Would you even add a link in the waymarks long description, if the findagrave memorial doesn't provide any further Information? I likely would, kinda like back up support for my information. Their site has improved in recent months. I had never heard of a pet cemetery on Find-A-Grave. My wife used to post there all the time. Concerning Find A Grave, I would not worry too much over English translations for cemeteries in non-English speaking countries. As for adding any kind of connection to waymarks on the Find A Grave page, I would not go to too much trouble. If you are only creating a few memorials on Find A Grave, then experiment with what you can do. If you are creating many memorials, you might lose all your special connections to waymarks in the near future. Expect more improvements (and changes) to the Find A Grave sites. but from the findagrave memorial to the waymark would provide a lot more information for the findagrave user. What would those benefits be? You cannot add a link to a memorial unless you "manage" that memorial, so why not just include the information from the waymark directly in the memorial? And if you don't manage a particular memorial, you can always use the "Suggest Edits" to add the details. In don't see anything in your waymark (nice as it is) that cannot be added to the Find a Grave memorial. On a related note, didn't the old FAG site show you who created each memorial? Now I only see who posted the photos. Like I said in a previous note - the input field "Bio Information" should hold information about the life of the person, but my waymarks most of the time just describes the grave. The description of the grave should go in the input field "Gravesite Details", but that's far too short for a long description. I now put various parts of the long description of my waymark in those two input fields. When suggesting edits the input field "Gravesite Details" isn't offered. There's a button "Suggest other corrections" where I could post them, but I wouldn't want to bother the owner of the memorial with lots of text. How did your search go? Quite good, because we were well prepared. We printed a map of the cemetery. Then we looked up a lot of graves online and marked their approximate position on the map. That way we were able to find a good route to visit several graves without running around too much. We took photos of 21 graves and fulfilled several photo requests. Unfortunately, a few graves were missing the gravestone, but we could help quite a few people. And we also found a few graves that will become waymarks one day. Unfortunately, it was quite cold and it gets dark far too early these days. Otherwise we would have taken even more photos. There are still 70 photo requests for the same cemetery, so we will probably go their again this weekend and take more photos. There are still 70 photo requests for the same cemetery, so we will probably go their again this weekend and take more photos. That is amazing that you have that many requests still pending. Thank you for your contributions, they will be very appreciative for your time and efforts to fulfill these requests. It was a little odd. We first checked the cemetery that is closest to where we live and there was just one photo request. And one day we were to visit the grave of my wifes grandmother on that other cemetery and checked that one and there were so many. I would have guessed that within a big city like Vienna there are a few users who cover all the cemeteries, but obviously that's not the case. Since we are on the topic of Pet Cemeteries, our submission has not been reviewed yet. It was posted January 18th. Looks like wayfrog approved the last two submissions. The pet cemetery was approved this morning. Thanks you, it is appreciated. Always helping out animals, wayfrog also came to the rescue in the Animal Hospitals category.